I was absolutely thrilled by Algeria’s qualification for the knockout phase on Thursday night. For the anecdote, I watched the second half of the game in a bar in Bayeux, managing to persuade the barman and sympathique table of Belgian fans—wearing goofy caps with horns and Belgian flags painted on their cheeks—that the Algeria-Russia match was more interesting and with greater stakes than Belgium-South Korea—being played simultaneously—, as Belgium was going to round 16 anyway, so they agreed to flip the channel. I also informed the French in the bar that they should be for Algeria, as the majority of Algerian players are, in fact, Franco-Algerian dual nationals from France, so the Algerian national team may also be seen as the French B team… At the end of the Algeria-Russia game the Belgians all applauded the Algerian qualification and a couple of the French gave me the high five. Sympa…. The Algeria qualification was a lead story in the French media yesterday morning, with the explosion of joy by Franco-Algerians across the country after the game (pics here), acting like Les Verts had won the World Cup final. But not everyone in France is happy about it, or at least for the same reasons. There was the expected bad humor from the extreme right (FN etc), who predictably focused on incidents of vandalism and torching of cars in various cities during the celebrations (which has been going on in this country for over three decades; it’s a permanent phenomenon; it always happens when there’s a pretext for lumpen youths to do so; so what point is one trying to make in fixating on it?). And then there were reactions from non-extreme right commentators, e.g. Le Figaro’s nitwit editorialist Ivan Rioufol, who asserted that “le patriotisme algérien en France révèle l’échec de l’assimilation.” Quel con. Monsieur Rioufol—as with so many others on the right (and some on the left as well) who opine on the subject—has zero understanding of the immigrant experience—in all immigrant populations in France and everywhere in the world, present and past—and the multiple or hybrid identities that ensue from this. And when it comes to Algerians and other post-colonial immigrant-origin populations in France, there is also a considerable mauvaise foi in Rioufol & Co.’s attitude. To illustrate this, I will recount an exchange I had with a student (French) on precisely November 20th last fall, in one of the Master’s level courses I teach at the Catholic University here. It was the day after the French national team’s stunning victory against Ukraine, that (unexpectedly) qualified Les Bleus for the World Cup tournament in Brazil, and with the game happening at the same moment as the Algeria-Burkina Faso playoff—which Algeria won, thereby earning the ticket to Brazil as well. And, as it happened, Portugal also qualified for Brazil that evening, winning its playoff against Sweden. So there were celebrations on the Champs-Elysées that night after the games, of fans of all three winning teams waving flags of the three countries. My very right-wing student—who was not FN but not far from it; and, as I learned, had been an activist in the anti-gay marriage movement several months earlier—brought up the incidents of vandalism and arson (hugely exaggerated by hard right websites) and expressed indignation at the waving of Algerian flags by youths who were certainly born and raised in France. I responded to this by asking him about all the Portuguese-French fans who waved Portuguese flags during the celebration, adding that in my banlieue—where there is a significant Portuguese community—Portuguese flags hang from windows when the Portuguese national team plays a game, and that when it’s Portugal vs. France—as happened in the semifinal in both the Euro 2000 and 2006 World Cup—, these fans root for Portugal against France, and that this includes members of the second generation, who are full French citizens, so what does he have to say about that? The student’s response: “Ah, but that’s not the same thing…” Me: “Oh, really? So it’s okay for a French citizen of Portuguese parentage to wave a Portuguese flag but not okay for a French citizen of Algerian origin to wave an Algerian flag? Please explain.” The student: “Behind the Algerian flag are revendications…” Me (surprised): “Revendications? What revendications?” The student would not or could not say. And he clearly did not want to continue the exchange. I invited him to elaborate on what he said in a future class, to do a short presentation on it, which we would then discuss as a class, but he manifestly wasn’t interested in my proposition. Total French right-wing mauvaise foi. And on this, I don’t imagine I would have received a more elaborate or sophisticated response from Ivan Rioufol. The French right has a problem with the presence of Muslims in France and doesn’t know how to think about Algeria, Algerians, or the Algerian war—or about France’s colonial past more generally. And this mentality is clearly being transmitted down the generations, at least in the more politicized portion of the hard right. What on earth is wrong with individuals having multiple or hybrid national identities? What’s the big deal? E.g. the big pro-Israel march in Paris on April 7, 2002 (along Bd Voltaire, from République to Nation)—which I attended as a spectator—, was a sea of French and Israeli flags (and in equal proportion). Absolutely no one in the French political or media mainstream expressed disapproval of this display of multiple national identities on the part of the marchers—and whose ranks included high-profile politicians from the right, center, and left, who came to express solidarity with the Jewish community and Israel at the height of second Intifada (those I remember seeing: Alain Madelin, Claude Goasguen, Pierre Lellouche, François Bayrou, Corinne Lepage, Jean-Marie Le Guen, Julian Dray). Rhetorical question: So if it’s okay for Jews, why not for Muslims too? Though I’m pleased that Algeria has qualified for round 16, I will not be rooting for Les Verts to beat Germany on Monday, as this will—assuming that France defeats Nigeria in that day’s earlier match-up—set up an Algeria-France quarterfinal, which is to be avoided at all costs, not because of what will happen on the field but off it—in the cities and banlieues of France. The hybrid/multiple identities will brutally clash and with a certain deleterious political fallout. 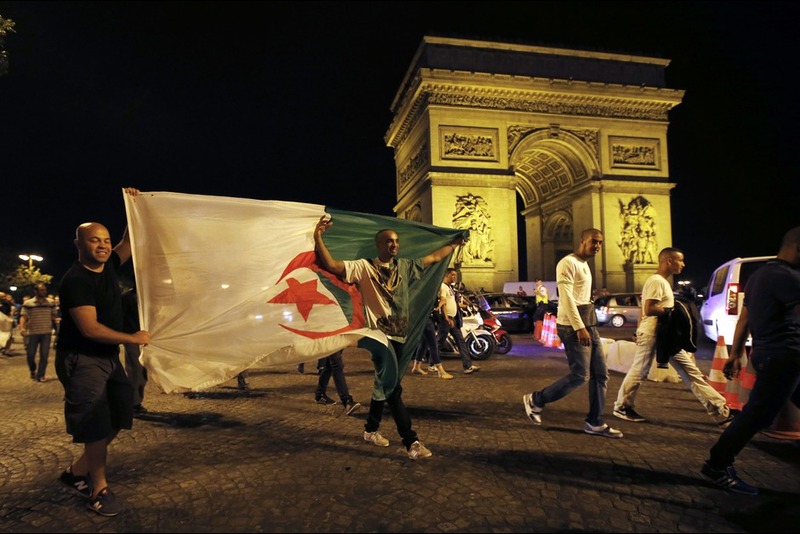 An Algeria-France World Cup match is not in the higher interests of the French polity or French society. So Algeria needs to lose to Germany with honor, allowing for a (logical) France-Germany face-off in the quarterfinal. 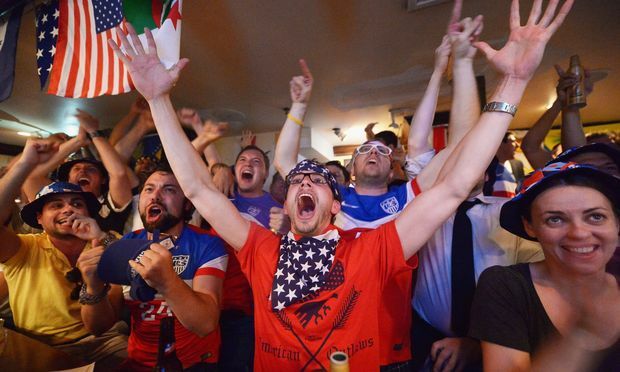 I was also pleased with the outcome of the Germany-USA game on Thursday—which I watched at the aforementioned Bayeux bar earlier in the evening, packed with Americans—plus that of Ghana-Portugal, thereby allowing Team USA to proceed to the knockout phase and in second place. Had the Americans defeated Germany to finish first in the group, this would have set up an eventual France-USA quarterfinal—and with me being for France against the USA, a position I would rather not find myself in. So now Team USA will face off against the Belgian Red Devils on Tuesday. I will be favoring the former. After the game I saw a “commentary” by the wacky right-wing bloviator-entertainer Ann Coulter, in which she says that “growing interest in soccer a sign of nation’s moral decay.” It reads like a parody of an Ann Coulter column. Numerous Facebook friends posted it and with indignant comments but I thought it was hilarious, as it’s so wildly over-the-top that it can’t be serious. Ms. Coulter cannot possibly believe what she’s saying. It has to be tongue-in-cheek: click bait written with the expressed purpose of getting liberals all worked up and talking about her. But there is, of course, the possibility that the unhinged Coulter is 100% serious and is seriously throwing red meat to her numerous right-wing fans. If so, the intellectual depravity of the American right is even worse than I thought. Dans chaque Coupe du monde, il y a des révélations. 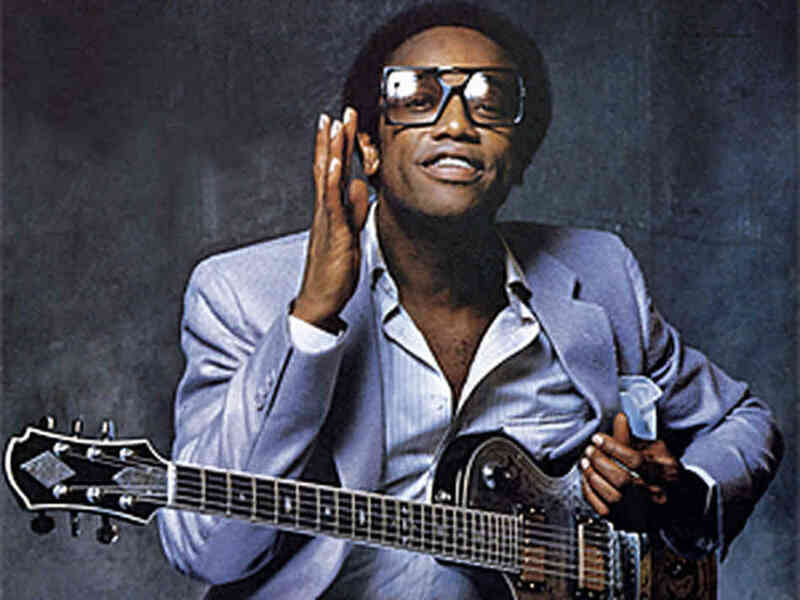 Cette 17e édition n’échappe pas à la règle, et bouleverse même de façon extraordinaire un ordre peut-être trop vite établi. La participations aux quarts de finale de la Turquie, du Sénégal, mais surtout des Etats-Unis et de la Corée du Sud, confirme que le fossé entre les «petits» et les «grands» n’existe plus. Pas plus qu’un complexe dont souffriraient ces nations qualifiées d’inférieures. … Pour moi, [les Etats-Unis] ont réussi un coup. Pour commencer, une victoire (3-2) face au Portugal, l’un des favoris de la compétition. Après ce déclic, un nul face à une Corée malheureuse ce jour-là, avant de trébucher lourdement face à la Pologne, pourtant dernière du groupe. Leur succès en huitièmes de finale, face au Mexique peu inspiré, est leur deuxième coup. Cette équipe s’appuie sur sa force athlétique et s’applique méthodiquement à empêcher l’adversaire de jouer. De plus, les hommes de Bruce Arena bénéficient d’une réussite maximale devant le but et les deux attaquants Landon Donovan et Brian McBride font preuve d’un opportunisme tout à fait étonnant. Ces quatre formations ne doivent leur bon parcours qu’à elles-mêmes. Elles ont eu le mérite d’être présentes dès le premier jour. Le Sénégal, les Etats-Unis, ont en commun d’avoir battu d’entrée deux grosses cylindrées, respectivement la France et le Portugal. Pour son entrée, la Turquie a fait jeu égal avec le Brésil et n’a été battue que par le talent des individualités sud-américaines. Une entame qui a placé les joueurs dans des conditions psychologiques idéales. Enfin, si la Turquie, la Corée du Sud, les Etats-Unis et le Sénégal en sont là, c’est que, à la grande différence des grandes nations européennes, elles ne sont pas aspirées par les compétitions. Au contraire, elles n’aspirent qu’à en disputer. One of the nice things about the American team is that they’re sympathique. They play collectively and don’t flop, dive, or act like assholes on the field. In the USA victory over Mexico in the 2002 round 16, the Mexican players behaved so odiously—as if they could not bear the prospect of losing to the Americans—that we were extra satisfied that they did indeed lose. And in the 2006 group game against Italy—which ended in a tie—, those chez moi who were watching—and which included a militant in an extreme left party—started out for Italy but by the second half were cheering for Team USA, as the Italians were such assholes. And the Portuguese last night were hardly sympa. So good for Team USA. Here’s hoping they go to at least the quarterfinals, if not the semis. But I do hope they don’t beat Germany on Thursday and finish first in Group G, as that will set up an eventual France-USA in the quarterfinals, which I absolutely do not want. Let Thursday’s game end in a tie, so USA takes second. And then there was yesterday’s Algeria-South Korea, which I watched with some ten enthusiastic (understatement) Algeria fans. Great to see Les Fennecs finally win a World Cup game—and decisively—after their unfortunate experience in 1982. Now the Algerian nation can finally put that one that behind it and move on. In view of the insipid Belgium-Russia match (zzzzzzzz), one cannot exclude a first place Algerian finish in Group H. On verra jeudi. France-Switzerland: What an amazing game! 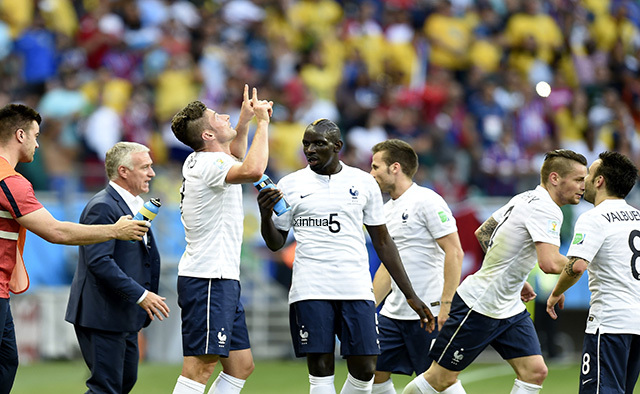 Five f—ing goals scored by Les Bleus—and by five different players—and against a good team to boot! Haven’t seen that kind of performance by Les Bleus in a long time (okay, there was that little victory against Ukraine last November…). The French national team is definitely back—and will definitely have regained the esteem of the French public—, even after/if it is eliminated in the knockout phase of the tournament. On the subject of l’équipe de France, historian Lindsay Sarah Krasnoff, who works in the US Department of State’s Office of the Historian, had a post on June 17th on TNR’s Goal Posts blog, “French revival? 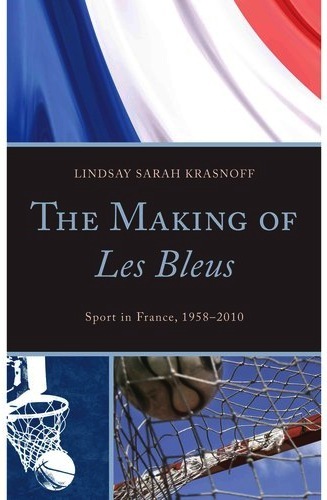 Five story lines to watch during Les Bleus’ next matches.” As it happens, Dr. Krasnoff published a book in 2012 on the formation of players for the French national teams in soccer and basketball, The Making of Les Bleus: Sport in France, 1958-2010. I haven’t seen it yet but am sure it’s a good, informative read. 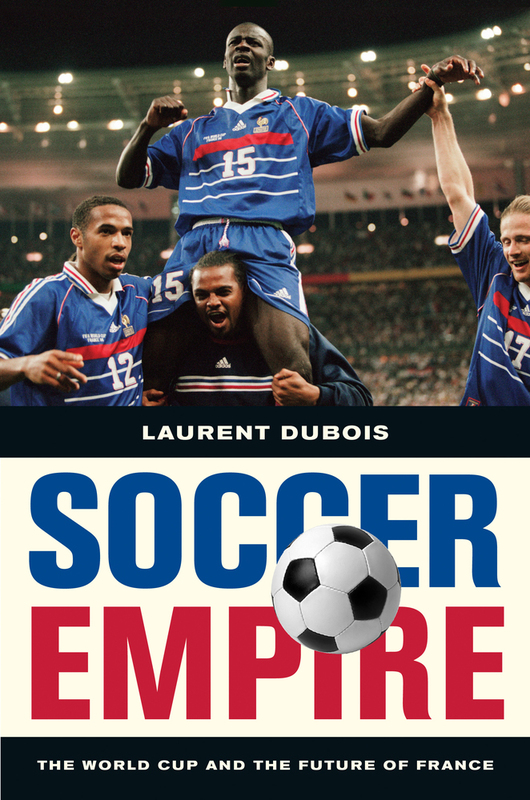 Another recent, English-language scholarly type book on Les Bleus is Duke University history and French prof Laurent Dubois’s Soccer Empire: The World Cup and the Future of France, published in 2011 by the University of California Press. I haven’t seen this one either but in view of Dr. Dubois’s fine Soccer Politics/The Politics of Football blog, am sure it’s tops. On the Swiss team and its multiethnic character—which I mentioned in my previous World Cup post—, journalist Jérôme Houard has an interesting piece in Slate.fr, “La «Nati» suisse, une équipe unie par sa diversité” (June 20th). Brazil-Mexico: What an intense, tension-filled game! Whoever said scoreless ties couldn’t be exciting?! Colombia-Ivory Coast: Too bad for Les Éléphants. Hope they whack the Greeks to advance. England-Uruguay: Tough for the English, what to say? I would have liked to see them advance. Hélas. Costa Rica-Italy: Wow, Costa Rica is for real! Whoda thunk it? I unfortunately missed Chile-Spain and Australia-Netherlands. On Spain’s crashing out, I know how the Spaniards feel. We in France were there in 2002 and 2010 (though Les Bleus were eliminated in the third group games in those, not the second…). In my post of three days ago on the Iraq catastrophe, I made two simple comments/assertions. 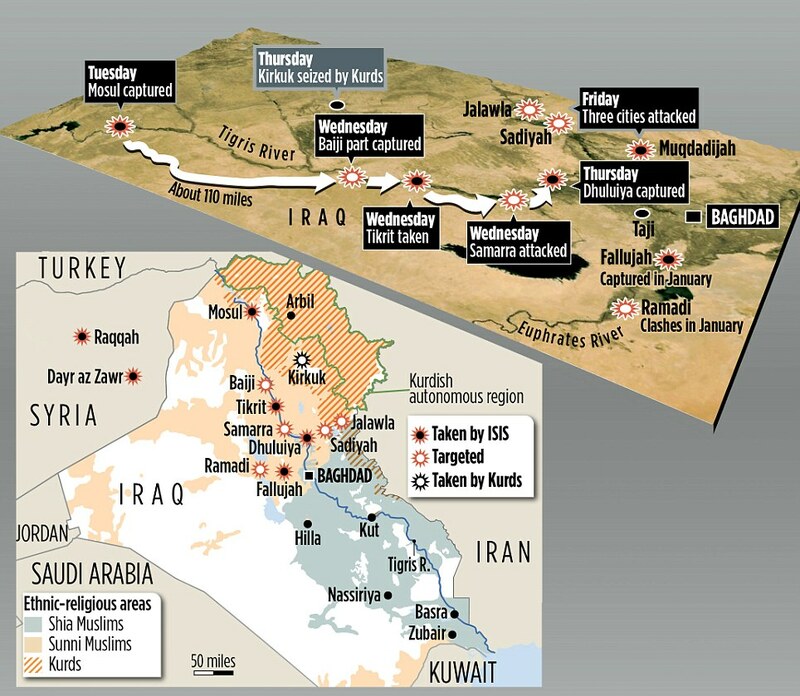 I want to make a third: ISIS won’t attack Baghdad, let alone take the city, and certainly not Najaf or Karbala. They may be crazy but they’re not that crazy. A fourth comment/assertion tant que j’y suis: In the hypothetical event that ISIS does pose a serious threat to Baghdad or to Iraq’s oil sector, the US will intervene—with bombers, drones, even some troops. The pressure on Obama to do so will be overwhelming—and there is no way that he will sit by while all of Iraq becomes a mega-terrorist state. Point barre. On a website called PandoDaily, the self-styled “war nerd” Gary Brecher—which may or may not be a nom de plume—has an interesting and original analysis (June 16th) telling you “everything you need to know about ‘too extreme for Al Qaeda’ I.S.I.S.” (h/t Dwayne W.). Iraqi sociologist Sami Ramadani, who lectures at London Metropolitan University—and was a refugee from the Saddam Hussein regime—, has a fine and salutary tribune (June 16th) in The Guardian on “The sectarian myth of Iraq.” The lede: We coexisted peacefully for centuries, and need neither brutal dictators nor western intervention. 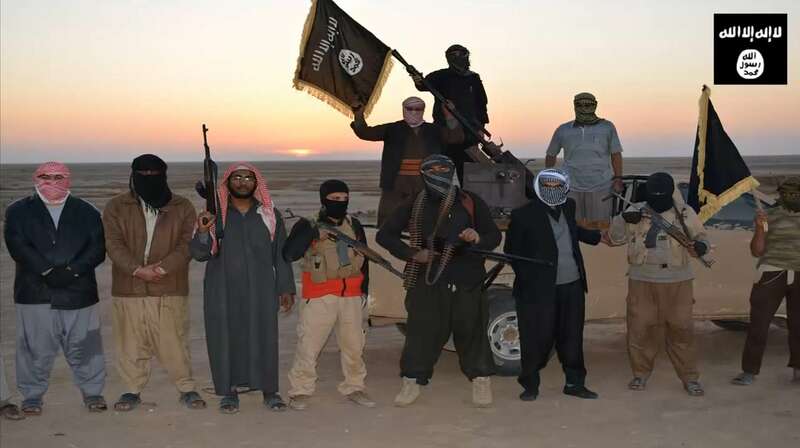 Scott Long, who has worked on human rights in MENA for many years—and notably on LGBT issues for Human Rights Watch—has a post (June 16th) on his blog on “ISIS in Iraq: Real atrocities and easy fantasies” (h/t Adam S.). Writing in Foreign Policy, Aaron David Miller has a spot on analysis (June 16th) in which he asks “Who lost Iraq?” The lede: That depends on whether you ever thought it could be won. 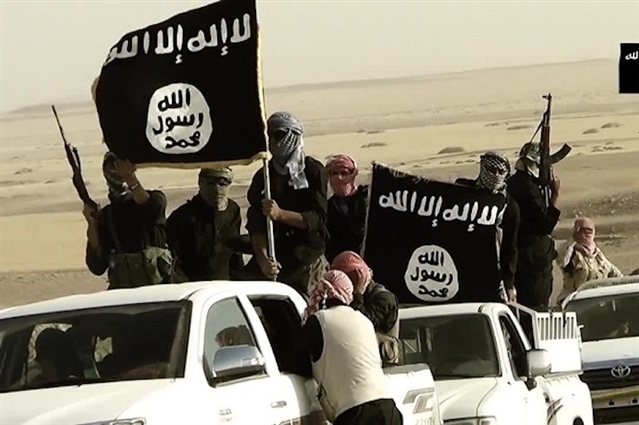 Also writing in Foreign Policy (June 17th), Georgetown University doctoral student Nick Danforth correctly informs the reader that “There is no al-Sham.” The lede: Militants in Iraq and Syria are trying to re-create a nation that never existed. In his piece Danforth links to an article he wrote for The Atlantic last September, in which he very correctly tells people to “Stop blaming colonial borders for the Middle East’s problems.” The lede for that one: Plenty of other countries have “artificially drawn” borders and aren’t fighting. Here’s the real problem with Europe’s legacy in the region. The Algeria-Belgium game is underway as I write. One of the most nationalist countries in the world vs. a country that isn’t even a nation. As it happens, all but two players on the Algerian team play professionally outside Algeria and two-thirds are actually from France, i.e. they’re French-Algerian dual nationals (c’est-à-dire, des beurs). As for the Belgian team, four of today’s eleven starting players are of immigrant origin (Morocco, Mali, the Congo, Martinique). I would have expected more. Contrast this with the Swiss team that played Ecuador on Sunday: of the eleven starters and two substitutes, precisely ten are of immigrant origin: Diego Benaglio (Italy), Johan Djourou (Ivory Coast), Ricardo Rodríguez (Spain), Valon Behrami (Kosovo), Gökhan Inler (Turkey), Xherdan Shaqiri (Kosovo), Granit Xhaka (Kosovo), Josip Drmic (Croatia), Admir Mehmedi (Macedonia), Haris Seferovic (Bosnia). There are more Swiss players who ethnically hail from the ex-Yugoslavia than Suisses de souche! Haven’t yet seen anything on how they feel about that in la Suisse profonde. Update: Belgium beat Algeria. Logically. I missed the first two days of the tournament, including the Netherlands-Spain game (I was some 35,000 feet above India, or maybe Af-Pak, while it was underway). Arriving back in Paris on Saturday, I learned to my incredulity that the majority of the group games are on pay TV only, on the Qatari network beIN Sports. F*cking Qatar. So I’ve missed a few games I wanted to see, notably last night’s Ghana-USA. But as a month sub for beIN is only €12, and which can be cancelled at any moment, I decided today to just do it, as there’s no way I’m going to miss Portugal-USA late Sunday night, entre autres. All the France games are on TF1, of course. Les Bleus played well against Honduras (admittedly not among the stronger teams in the tournament). 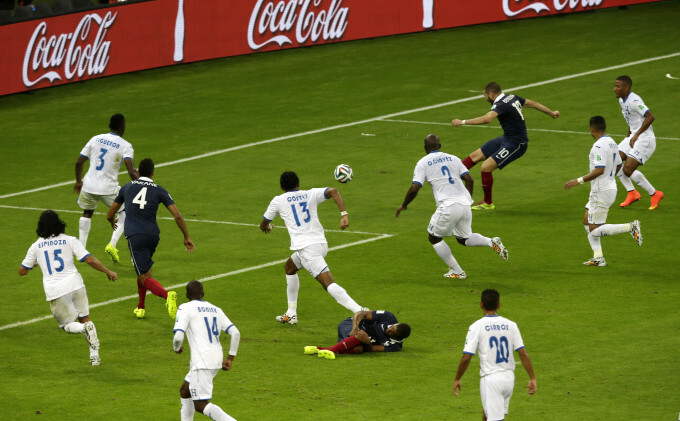 If Les Bleus beat the Swiss—who are good—on Friday, they’ll go to Round 16. Also in The New Yorker are commentaries by Dexter Filkins, “In extremists’ Iraq rise, America’s Legacy” (June 11th) and “Wider war” (June 23rd issue). See also Filkins’ April 28th Letter from Iraq: “What we left behind.” The lede: An increasingly authoritarian leader [Nuri al-Maliki], a return of sectarian violence, and a nation worried for its future. Now Filkins does pin some responsibility on the Obama administration for the failure to conclude a status of forces agreement with the Iraqis in 2011. But in a piece in Politico (June 15th), Colin H. Kahl, who was Deputy Assistant Secretary of Defense for the Middle East during the first three years of the Obama administration, asserts that “No, Obama didn’t lose Iraq: What the president’s critics get wrong,” and in which he explains why a SOFA could not be negotiated with the Iraqis. The FT’s David Gardner, “Iraq’s implosion reflects Syria’s lost national narrative” (June 13th). The lede: Maliki’s sectarianism and corruption has enabled itinerant gangs to claw their way back. LSE professor Toby Dodge, writing in The Guardian (June 13th), “Iraq doesn’t have to fall apart: It can be reformed.” The lede: The advance of Isis is the result of terrible decisions made since 2003. Iraqis themselves must chart a new course if the state is to survive. Slate’s Fred Kaplan, “After Mosul: If jihadists control Iraq, blame Nouri al-Maliki, not the United States” (June 11th).